An interesting couple if ever there was one… Bonaparte then is not the portly man we have come to associate with traditional Napoleonic imagery. He has not yet crowned himself Emperor of the French, but he has seized power a year earlier in a bloodless coup. In 1800 he is the First Consul, a reference to the era of the Republic in Rome. But his regime is already authoritarian, and he will use the bomb attack described in my new novel, For the King, to eliminate many of his political opponents. Now she is the one who is jealous. There are a few other clouds on the horizon: Bonaparte would like a son and heir, but a middle-aged Joséphine shows no signs of fertility. 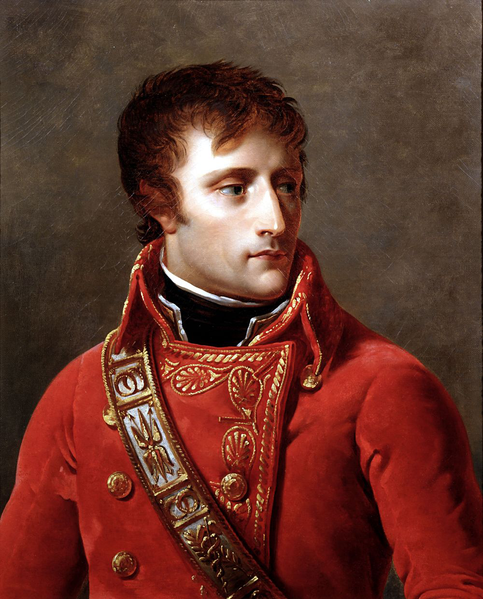 Yet Bonaparte’s immediate concerns are to consolidate his grip on power, not -quite yet- to establish a dynasty. But what matters in 1800 is that Napoléon and Joséphine are political allies. He knows he owes his rise in the army and national politics to her and her connections. Without those, it is unlikely that his coup would have succeeded. Napoléon and Joséphine planned it together, they would have shared the consequences of any failures, and now they bask together in the glow of success. He may no longer be madly in love, but he values his wife as his closest associate, and also, because he is very superstitious, his lucky star. Maybe, in his mind, she is the one who allowed him to escape the bomb detonated on their path on Christmas Eve 1800 . . . Originally posted at All Things Royal.